Avenir Mikhailovich Belyantsev (1931-2008), famous scientist in the fields of radiophysics, physics of semiconductors and plasma physics, author of over 80 publications in leading national and international scientific journals. He made a notable contribution to the initiation and development of the solid state physics research in Nizhny Novgorod. А.M. Belyantsev graduated from the radiophysics department of the Gorky state university in 1955. After completing his postgraduate studies with the «physics of microwave frequencies’chair of the university in 1958 he was appointed to the Radiophysics Research Institute, NIRFI, where he worked as an engineer, chief engineer and then leading engineer. In 1963 he defended his PhD thesis: «Some aspects of the theory of coupled transmission lines', and got a position of a senior research associate. In 1966 А. М. Belyantsev was advanced to the rank of a senior research associate for expertise in the field of electrodynamics of nonlinear systems. In the same year he was placed in charge of the NIRFI department №4 and in 1970 became head of department №2 that included research groups involved in the radiophysics of millimeter and submilimeter waves. When the Institute of Applied Physics of the USSR Academy of Science (IAP RAS) was established in 1977, А. М. Belyantsev became head of dept. 320, and from 1988 to 1991 — head of dept. 410 of this institute. From 1991 to 1993 he was a leading scientist with the IAP RAS. From 1994 to 2008 A. M. Belyantsev worked at the Institute for Physics of Microstructures RAS (IPM RAS). In 1987 А. М. Belyantsev with a group of authors was awarded the USSR State Prize in science and technology for a series of works: «Inverted distributions of hot charge carriers in semiconductors and generation of stimulated emission in millimeter, submillimeter and FIR ranges (hot-hole semiconductor masers and lasers)'. He was a member of the «Microwave solid state electronics' group of the USSR AS Scientific Council for «Physical electronics' and «Semiconductor plasma', member of the USSR AS Scientific Council for Physics and chemistry of semiconductors. 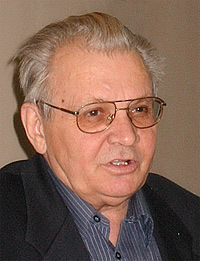 Along with the scientific research, А. М. Belyantsev lectured on «Vector and tensor analysis' at the radiophysics department and on «Theory of electromagnetic field' at the computational mathematics and cybernetics department of the University, taught the «Physics of semiconductors and magnetics' and «Fundamentals of quantum mechanics' courses in the Polytechnical institute, was supervisor of students' course and diploma projects. He was scientific advisor to six PhD theses. А.М. Belyantsev is recognized for a number of major scientific achievements well known in our country and abroad. In the field of electrodynamics of coupled transmission lines in collaboration with A. V. Gaponov they developed a theory and explained the nature of complex waves in loss-free transmission lines. His research interests covered the physics of shock electromagnetic waves, the nonlinear effects in optics and propagation of light in turbid media, nonlinear high-frequency effects in bulk semiconductors, physics of inhomogeneous semiconductor structures and superlattices. А. М. Belyantsev had predicted and experimentally observed the nonrciprocal galvanomagnetic effect in inhomogeneous semiconductor films, he worked out a theory of classical superlattices as a nonlinear dielectric medium, and discovered the current instability in classical superlattices. In the last 10-15 years of his life А. М. Belyantsev turned to the problem of shock electromagnetic waves again. He developed a theory of generation of high-frequency oscillations by a shock electromagnetic wave in nonlinear transmission lines with dispersion and performed a number of applied studies towards calculation of such lines under the contracts with research centers of Great Britain and France. The most striking result obtained by him in that period was prediction of the inverse Doppler effect induced by reflection at a shock front (2002), that was experimentally discovered by the British researchers (Science, v. 302, p. 1537 (2003)). Department 320 of the IAP RAS, headed by A. M. Belyantsev, was one of the two departments that formed the basis of the Department of solid state physics and optics with the IAP and later the IPM RAS. His colleagues and associates form the core of the research groups in three scientific departments (110, 120, 140) of the Institute for Physics of Microstructures.